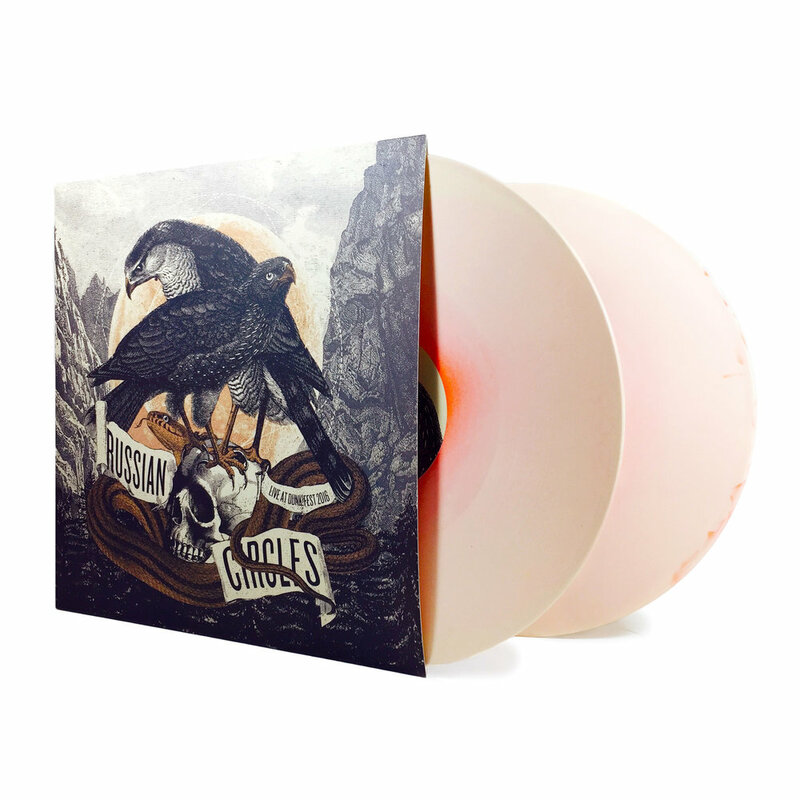 Today is release day for this wonderful double LP and first live album of Russian Circles. This pre-order went faster than ever before. The entire worldwide stock is as good as gone. Sargent House is completely sold out, A Thousand Arms (US) has only a few more copies available and our dunk!store has just a small amount of Orange/Bone vinyls left... 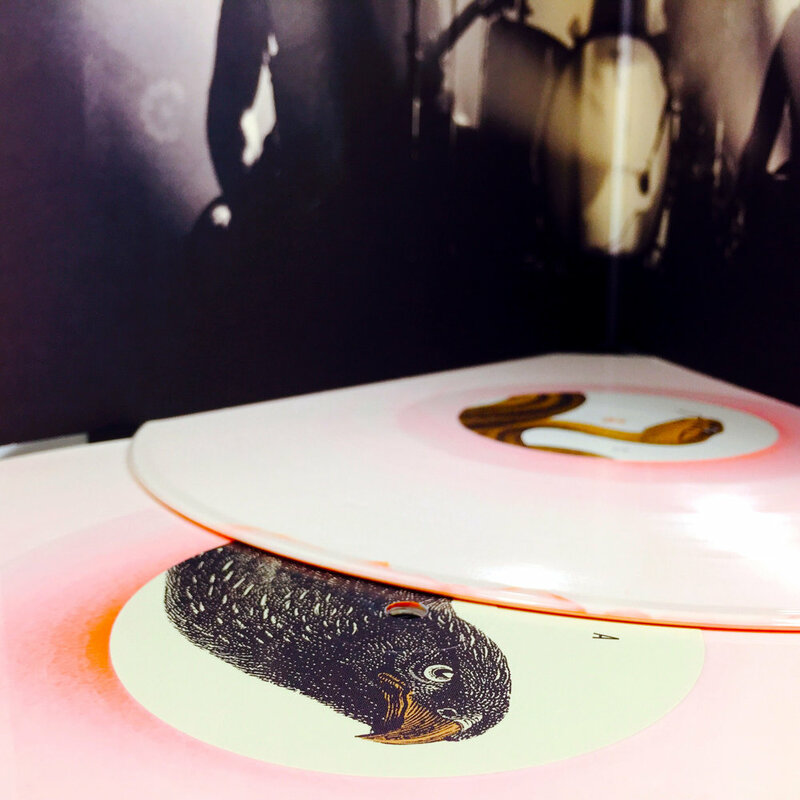 So if you want to add this beautiful memory on vinyl to your collection, now is the time. The tracks, recorded by Jannes Van Rossom (Deaftone) and Thierry Staelens were mixed by Dallas Thomas from Pelican and mastered for vinyl by Collin Jordan (The Boiler Room LLC). These tunes were then pressed on high quality 180g colored vinyl, in two different color configurations. 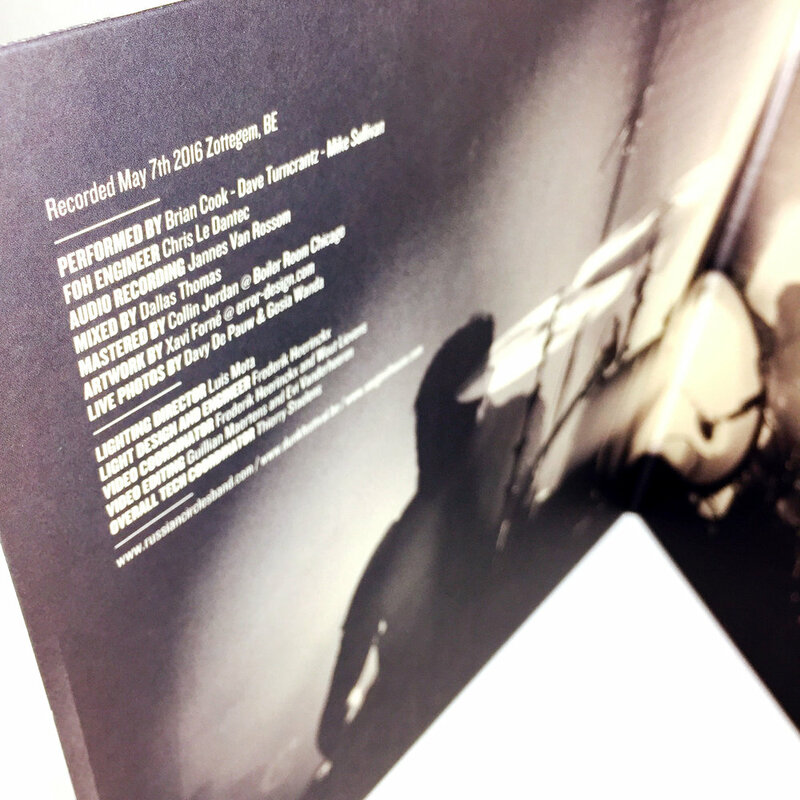 The package comes in an upgraded gatefold cover, printed inside out, designed by Error! Design. The inside is a collage of pictures taken at dunk!festival 2016 by Davy De Pauw and Gosia Wanda.